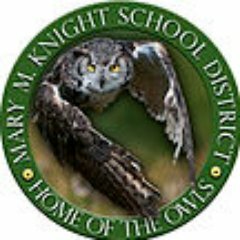 The Mary M. Knight track and field team is sending several athletes to the Class 1B State Championships at Eastern Washington University in Cheney May 24 through May 26. At Wednesday’s District IV Track Meeting, the Owls’ Kaylee Sowle won the girls’ 100 meters, the high jump, the long jump and the triple jump. Ian Frost won the boys’ shot put and the discus. Jadyn Davidson took 1st in the girls’ 200 meters. Austin Fries won the boys’ triple jump, was 2nd in the high jump and 3rd in the long jump. Corbin Thompson was 2nd in the boys’ 3200 meters and 3rd in the 800 meters. Isaiah Compton took 2nd in the boys’ discus. The relay team of Austin Fries, Isaiah Compton, Corbin Thompson and Ian Frost finished 2nd in the boys 4 x 100. Kaleb Riggs finished 3rd in the boys’ 1600 meters. Logen Beebe was 3rd in the boys’ 3200 meters.